The following info has been copied from the Kellogg University Art Gallery website. “Ink and Clay is the Kellogg University Art Gallery’s annual competitive exhibition of ceramics, prints and drawings. 2014 marks the 40th year for this unique exhibition, made possible through the generosity of Mr. Bruce M. Jewett, the endowment of Col. James “Jim” H. Jones, and the Office of the University President, Michael Ortiz. 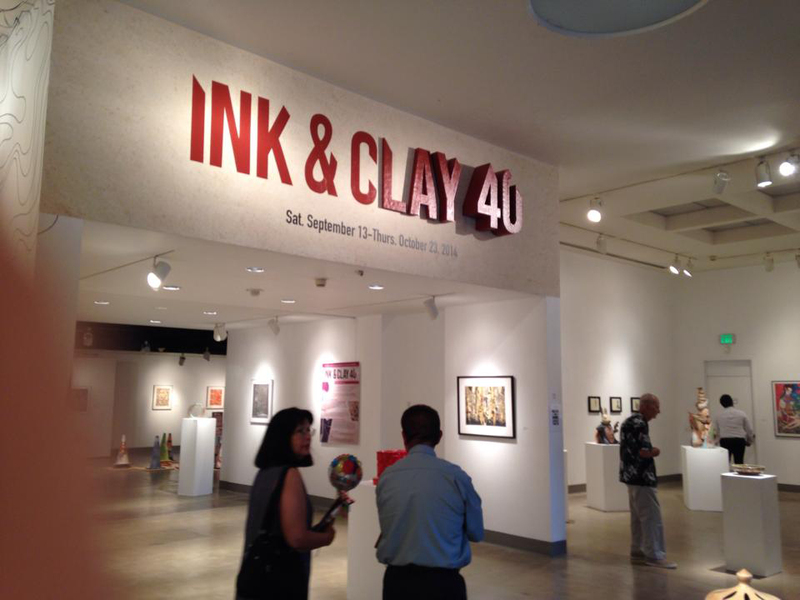 Ink & Clay 40 will be from September 13 through October 25, 2014. For the second time, this juried exhibition will be a national competition, open to artists throughout the United States. First, I look for a sense of uniqueness or originality – I have looked at so much artwork, by both professionals and students, in my years as an artist, and a teacher. What grabs me most is seeing something I have never seen before, or something that provides a fresh perspective to a familiar form or theme. Second, I seek a sense of technical competence – to me, “craft” equals control. I look for a reasonable amount of proficiency by the artist with materials and technique, enough to convince me of the artists intention. This criterion is hardest to access when looking at images of artwork, but easier when viewing the actual artwork in person. I believe most TRULY great art comes out of hard work and process, even if the end result may look simple… especially in ink & clay. Therefore, for my first and most important criteria, I look for technical skill and how it is applied within the piece. I think of how the factor of time and energy may have helped the full development of the work of art. However, conversely, I also trust in my second criteria, which is the initial response to a piece that just works somehow; whether it be compositionally, use of colors, concept, etc. Part of this feeling may be from decades of study, or intuition. My criteria when looking at artwork is first to look for art that is the most innovative, least common, fresh, and most unique. Next, I seek out how well the technical skill is exemplified – how quality is revealed in terms of materials and execution. Pushing the media in new directions, outside of the norm. Last, but not least, the deeply personal interests me. 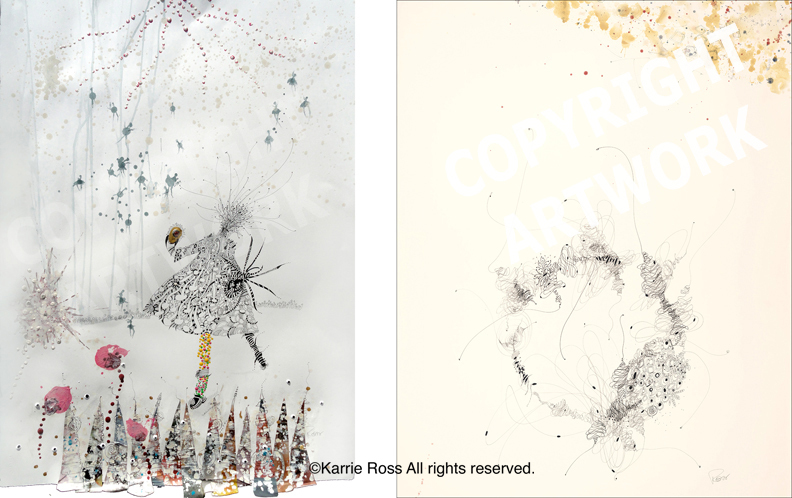 This entry was posted in Exhibition Posts and tagged cal poly pomona, contemporaray art, Dave Lefner, ink and clay annual exhibition, Jeannie Denholm, kellogg university gallery, los angeles fine artist, pen and ink artwork, Phyllis Green on August 7, 2014 by Karrie.